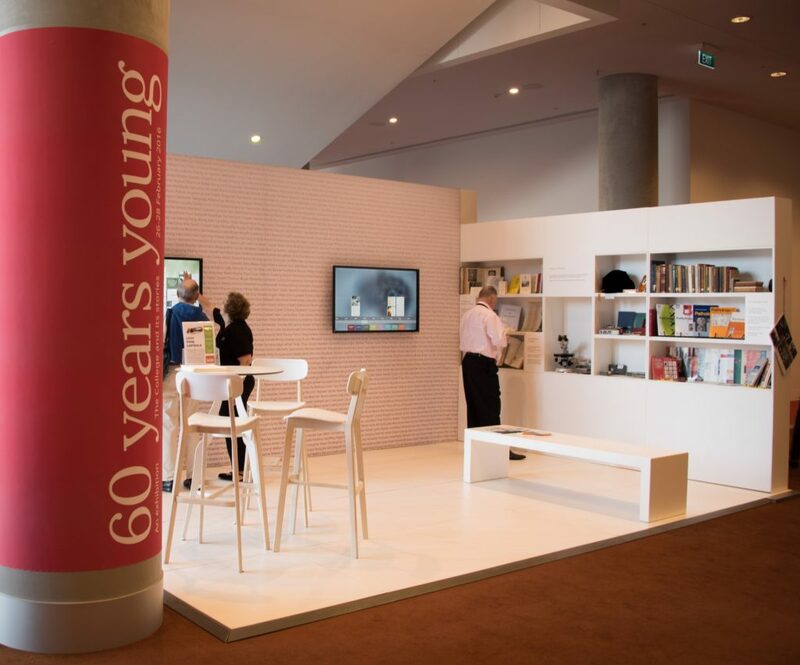 In February of this year, the Royal College of Pathologists of Australasia featured EDM’s Timeline product at their annual conference in Melbourne. 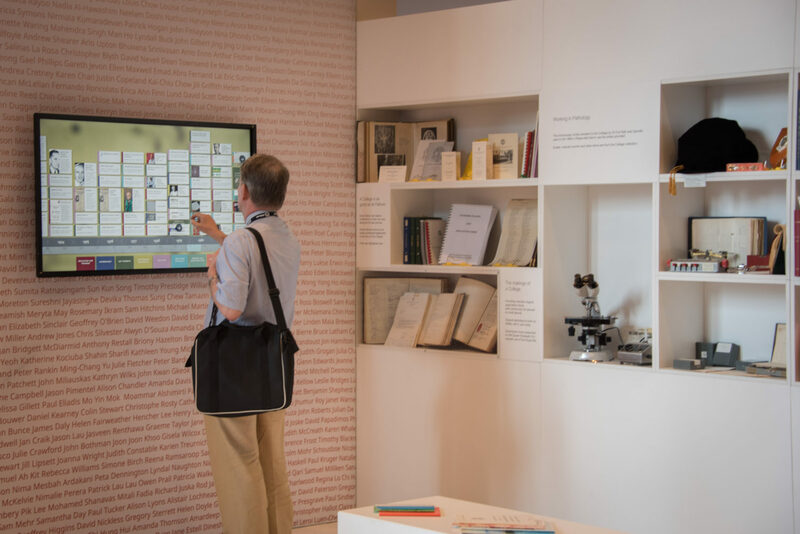 Timeline was part of a temporary exhibit celebrating the College’s founding in 1956. 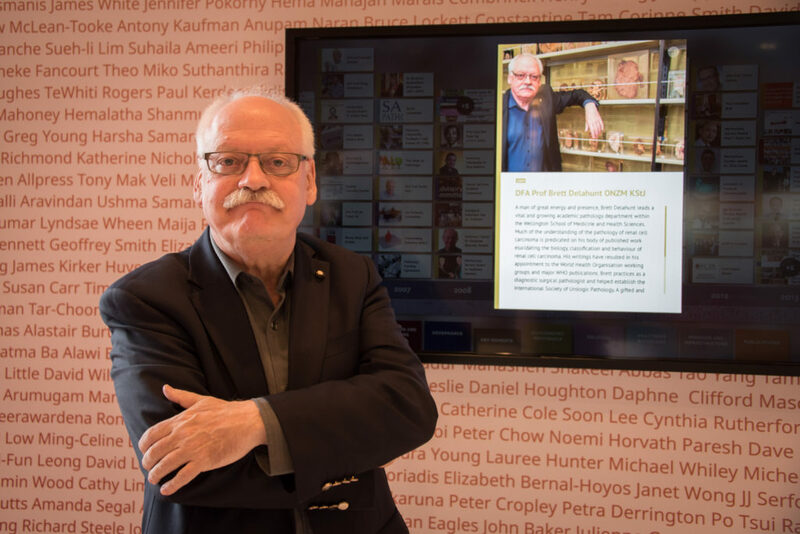 For this 60th anniversary, RCPA wanted to “take members on a trip down memory lane and also highlight the significant milestones and achievements of the College, its members, and pathology, to date.” EDM’s Timeline helped make this a reality. 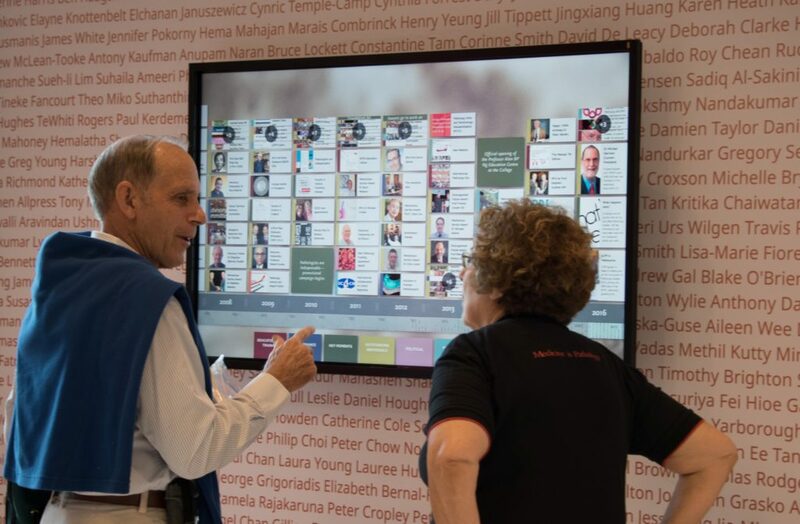 EDM’s Timeline interactive at the 2016 Royal College of Pathologists of Australasia annual meeting. In the lead-up to the conference, EDM worked with the College on both audio-visual procurement and content development. Executive Officer Debbie Deston populated Timeline’s cloud-based Content Management System with well over a hundred stories. These included milestone advances in the science of pathology, special events in the College’s history, and biographical features on distinguished fellows. A conference attendee looking at Timeline with RCPA Executive Officer Debbie Deston. Working with non-museum clients poses certain challenges, especially when it comes to content development. Thankfully RCPA was eager to leverage EDM’s experience in developing exhibit interactives. This included ensuring we had compelling visuals to accompany each entry, resisting the temptation of going too deep with text content, and generally authoring stories in a way that encouraged exploration. Professor Brett Delahunt, Professor of Pathology and Molecular Medicine at the Wellington School of Medicine and Health Sciences, with his Distinguished Fellow Timeline entry. Timeline was a success. The College will almost certainly be using it at future conferences. They also plan to deploy it on a large screen in the lobby of their Sydney offices.